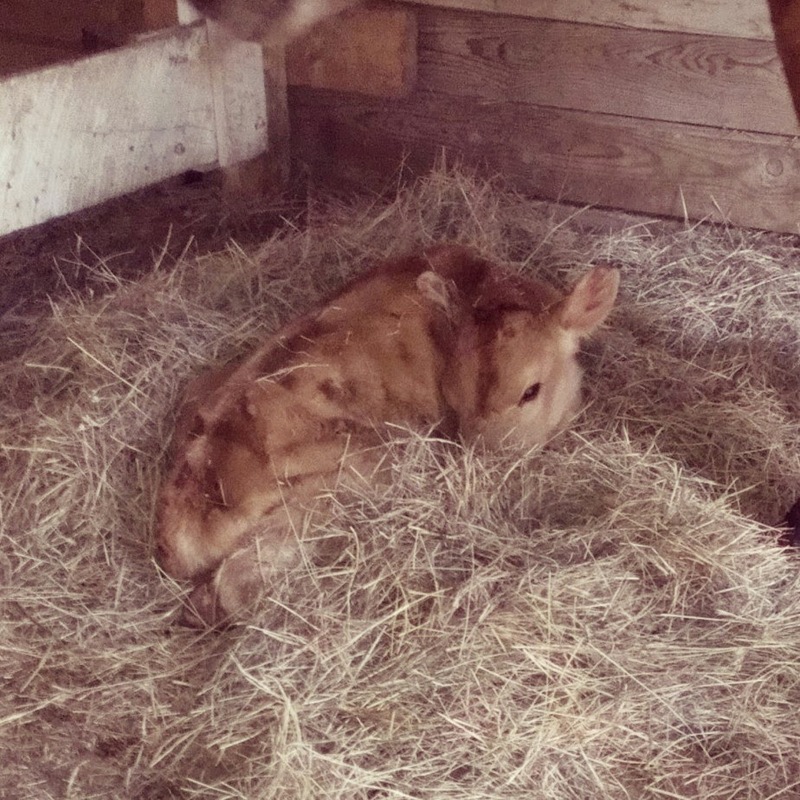 Homesteading Wife: It's a Boy! 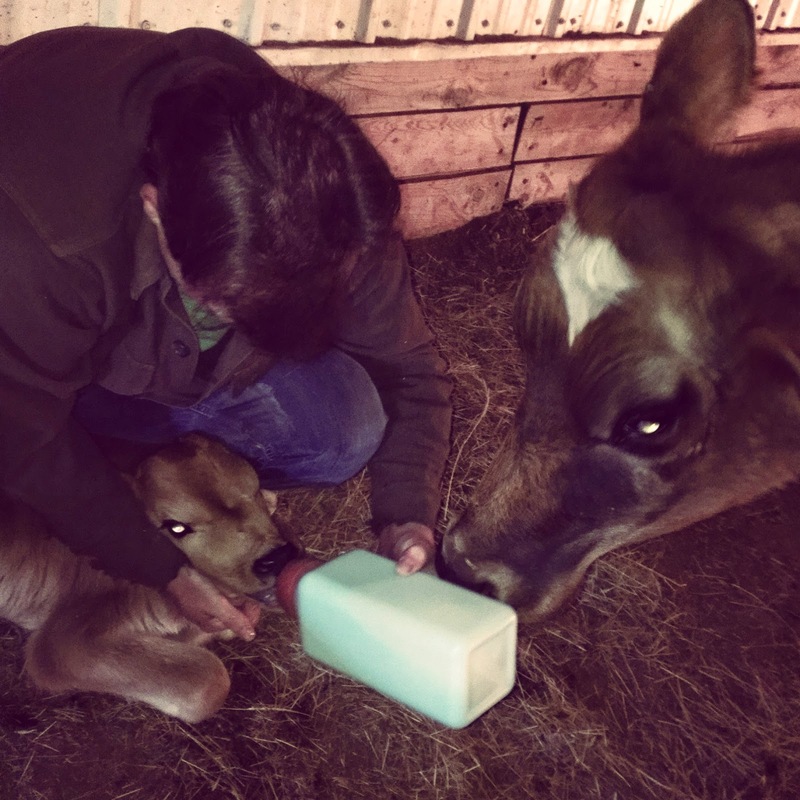 Early Thursday morning, as in 3 o'clock in the am, Molly delivered a tiny little bull calf. Of course it was the coldest time of day while it was snowing. I had went out to check her at midnight. All seemed well, but knowing how quickly that can change I set my alarm for 3. It took every ounce of self-control to drag myself out of that bed. I'm so glad I did. Hiding along the fence, behind a bunch of trees, Molly was drying off her new little baby. I didn't want to disturb her, so I kept my distance. After quietly observing them for a few moments, I went back to bed. At 6 am, I was back out hoping to get a better look. This time he was standing. Good sign. I went back to the house to get the kids ready for school and finish other chores. A couple hours later I went back out to see if she would let me closer. She was lying under a tree and didn't make a move to get up, so I approached her calf. He was so small that I wanted to cry. I was certain that he was going to die. He was violently shaking, and was just skin and bones. I suddenly realized that he hadn't nursed yet. 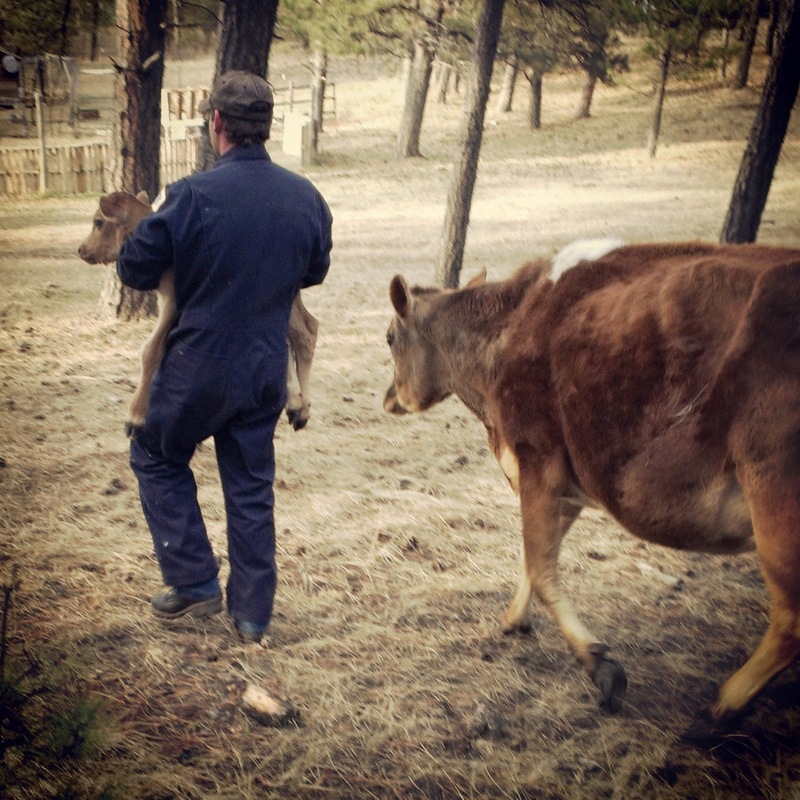 After a frantic call to the vet, and then to my neighbor who raises cattle, I went back out to try to assist him in nursing. My neighbor "Tracy" came over and helped me move him to the barn. He refused to nurse, so we tried a bottle. He refuse a bottle, so we had to milk out Molly and tube the colostrum down him. What. A. Nightmare. All day he just laid shivering in the barn. That evening Tracy came over and helped us tube him again. I gave him a shot of Vitamin B as a boost. Friday he still wasn't sucking, but he looked a little better. He followed his mama to the far corner of the pasture and spend the day in the same spot. 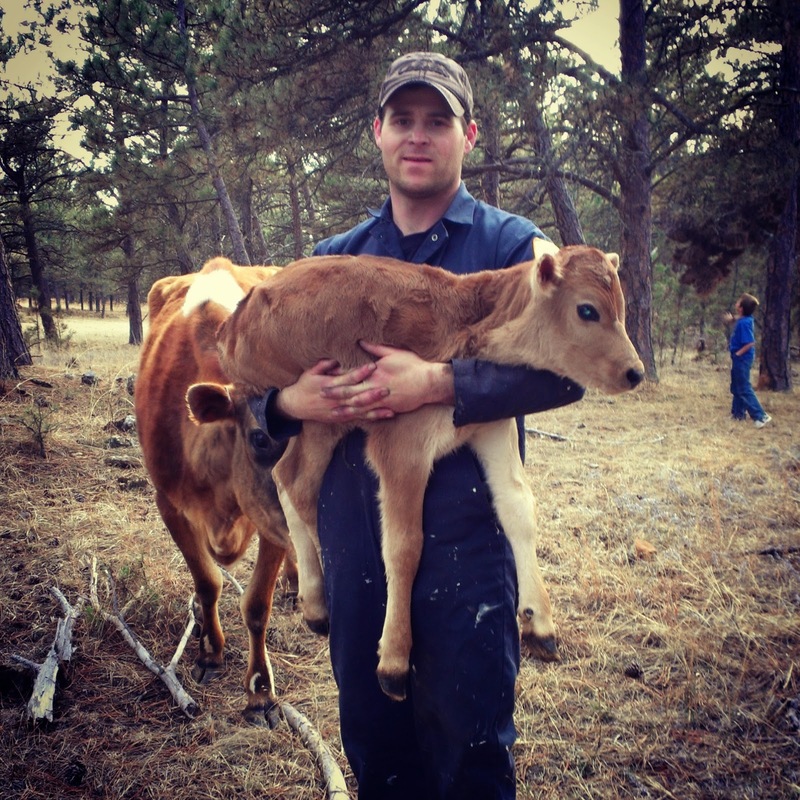 When Nathan got home, he carried him back down to the barn. Of course he STILL wouldn't nurse or take a bottle. This time we felt confident enough to tube him ourselves. Molly is such a gentle animal. The entire time we were "torturing" her calf she gently mooed and would occasionally give him a lick. The only thing she doesn't tolerate is the dog... sorry Darcy. 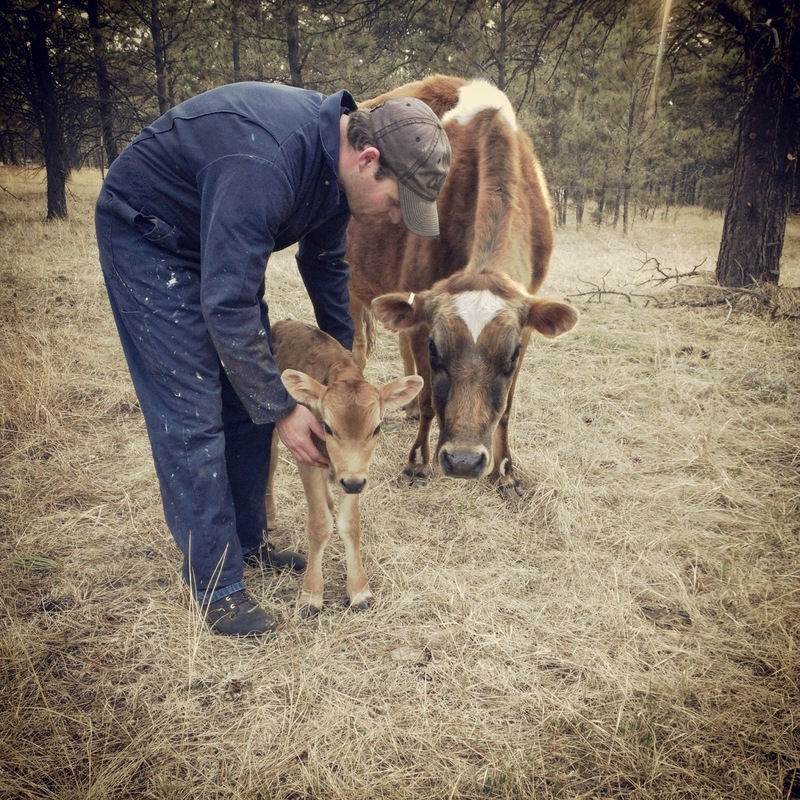 Stay tuned for more exciting calf drama. Will Fival ever take a bottle? Is Molly really recovered from her delivery? What do Pearl and Timon think of their new pasture mate?